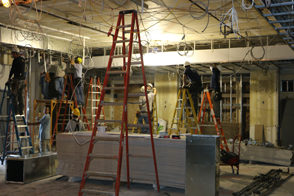 RPC has proven success in construction in Virginia, Maryland, and DC because of our in-house staff of professional carpenters, finishers and other skilled workers. Our readily-available talent allows us the flexibility to efficiently serve your needs with consideration for your budget and schedule requirements. We are continually refining our processes, techniques and levels of service to meet the demands of our customers. We have served as general contractor and sub-contractor on a many high profile new construction and renovation projects in the Washington Metropolitan region. Ultimately, we are successful because we are committed to building and maintaining valued relationships with our clients. RPC provides a wide range of fully integrated construction services offering top quality workmanship, beautiful finish work, clear communication and exceptional customer service. We stake our reputation on every project we do. Our clients include condominium owners, hospitality industry, medical, commercial, government, shopping centers, schools , retirement and apartment communities. Our experience includes full-scale renovation projects to a variety of smaller remodeling jobs and room conversions. 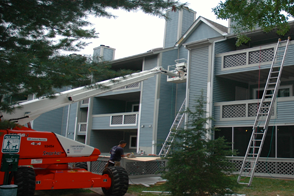 We have performed exterior building envelope skin replacement jobs to deck and balcony reconstruction projects. We have built and completely remodeled hotel board rooms, libraries, high-end bathrooms, shower rooms, community wide siding and trim replacement projects, historical restoration, deck – boardwalk and stair replacement projects, window and door replacement, exterior renovation, pool houses, tenant build out, office conversion, lobby and corridor renovations.